Carbon fiber Outriggers From GemLux Fishing are our newest addition to the Spellbound. We want to thank all of the people over at GemLux fishing for helping us get the newest and most technologically advanced outriggers on the market. 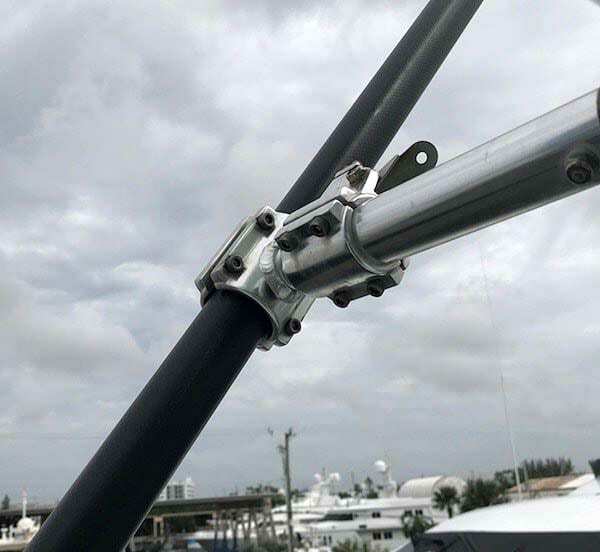 They sent us a pair of 27 foot telescopic carbon fiber outriggers.Installation could not have been easier. We inserted them into our 12 foot Lee’s out rigger base. The Gemlux outrigger base fit in perfectly, no adjustments were needed. Once they were in place we drilled a hole through the out rigger to match the bolt hole on the Lee’s base. Then we fastened the out rigger to the base with a single bolt. The combined parts gave us Outriggers that were 39 feet long. We used our old Lee’s quick connect rigger holder to lock the new Gemlux carbon fiber out riggers in the up right position. The Gemlux riggers come with built in roller roller pulleys set for triple rigged halyards. We used 300 pound monofilament for our halyards with Blacks clips. We also incorporated halyard stop balls above the blacks clips and used ball bearing swivels in either side of the clips to eliminate line spin. Our halyards are connected to the boat with triple Hal-lock pulleys. We also removed the bungee cord from the pulley and replaced it with a short piece of cord. Un wanted extra play in the Halyards that eliminated. 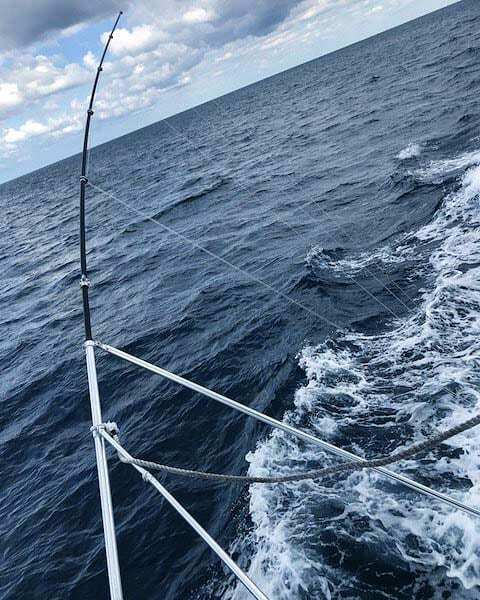 If you are used to traditional aluminum spreader bar riggers wrapped with stay wires you are in for a Carbon fiber Outriggers From GemLux Fishingdifferent experience. The clean simplicity of the carbon fiber riggers is a pleasure to fish with. They have instantly eliminated the problem of kite fishing main line rubbing or tangling in with the stay lines. They are amazing light and easy to deploy or put away. Furthermore these carbon fiber outriggers from GemLux Fishing are more flexible than traditional out riggers. 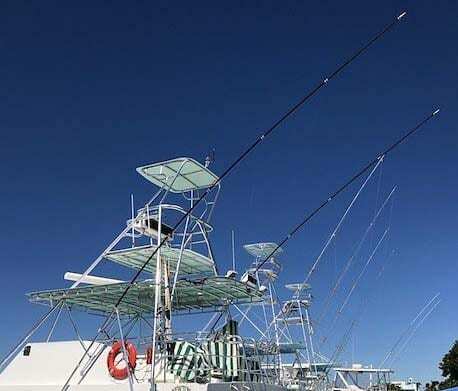 Carbon fiber Outriggers From GemLux FishingOur first trip out using them we caught a few Dolphin Fish (Mahi Mahi) in the ten pound range using Ballyhoo trolled on 30 pound out fits. The riggers worked perfectly. We like to fish with the pins on the tighter side. The bites went perfectly, the fish were able to grab the baits and pull the lines free of the pins. With the tightness of the pin I expected to see more bend in the riggers as every thing converged. They performed perfectly, just enough give. A triple of fish were all hooked simultaneously and the riggers worked perfectly. On our next trip out we were slow trolling live Bonita. We caught Kingfish up to over 20 pounds and a jumbo Barracuda. The riggers performed perfectly !